I am sorry I haven’t posted anything. Unfortunately, I have been extremely sick with allergies; the Texas wind has been blowing all kinds of stuff. Four out of the five high things I am allergic too. I cannot hear out of my ears at all. I have been lucky because I learn as a kid to lip read. It been hard to lip read the TV especially, what the guys like to watch. Sport Center is the worst. They shot the host people from a distant; so, I cannot see what they are saying. We have gotten three different types of medicine from my doctor and none have worked. This last group just put me to sleep. Thank goodness the printer went out before all this started; so, I was able to replace it. Scott did not have any papers due and was on Spring Break and teachers were going to the week long Criminology conference they have in March. I have a group of hats and angels that I crochet which I have to tuck in ends and put my labels on them. This is the only thing I can do. I tried to watch some videos; but without directions it was hard not being able to hear what they were saying besides the closed caption was not working. Yesterday, one of my husband’s writing friends has a wife named Carole who knits and crochets. They are spring cleaning and downsizing; so, they brought me and incredible amount of stuff. In addition, a small suit case; five garbage bags full of all kind of different yarns. Besides, two bags of books and magazines. Craft bags which had with needles and containers. This was so awesome!! The doctor’s office will be extremely happy with me making items for fellow cancer patients, It makes me very happy to see one of the patients wearing my hat or see them with one of my walker caddies. I met one on March 16th and she was very thankful to meet me. She thought the walker caddy came from an outside vendor. She was very surprised a patient did it. I do not know what I can get posted or done for Easter projects with this sickness. But I went through some of the magazine and found some information which would be helpful to beginner crocheters. Hopefully, I can get them set up to run after Easter. This not for beginners. 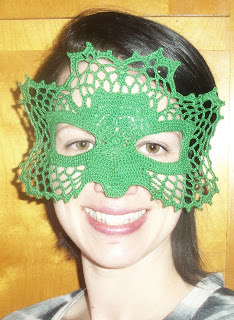 This is a mask you will crochet; but, also could be used on Fat Tuesday if make it in different color(s). Row 1: 12dc inside ch6 loop. Sl st in 1st dc. Ch3. Row 2: Dc in 1st st, 2dc in next 11 sts, sl st to top of ch3, ch3. Row 3: (dc-tr) in 1st st, (tr-dc) in next st, dc in next st, 2hdc in next st, sc in next 2 sts, ch45 (eye opening); sc in next 5 sts, 2sc in next 2 sts, sc in next 5 sts; ch45 (eye opening), sc in next 2 sts, 2hdc in next st, dc in next st, (dc-tr) in next st, (tr-dc) in next st, sl st in 1st dc, ch3. Row 4: Dc in next 2 sts, 3dc in next 2 sts, 2hdc in next st, sc in next 3 sts, skip next st, sc in next 6 chs, (2sc in next ch, sc in next 2 chs) 10 times, 2sc in next ch, sc in next 8 chs, skip next sc; (2sc in next st, sc in next 2 sts) 4 times; skip next sc; sc in next 8 chs, (2sc in next ch, sc in next 2 chs) 10 times, 2sc in next st. sc in last 6 chs, skip next st, sc in next 3 sts, 2hdc in next st, 3dc in next 2 sts, dc in next 2 sts, sl st in 1st dc, ch3. Row 5: Dc in next 6 sts, 5dc in next st, hdc in next st, sc in next 4 sts, skip next st; sc around next 128 sts; skip next st, sc in next 4 sts, hdc in next st, 5dc in next st, dc in last 6 sts, sl st in 1st dc, ch1. Row 6: Sc in next 5 sts, hdc in next 2 sts, (dc-tr-dc) in next st, dc in next st, 2hdc in next st, sc in next 7 sts, skip next sc, sc2tog, sc in next 15 sts, 2sc in next st, 2hdc in next st, 2dc in next st, 3tr in next st, dc in next st, hdc in next st, sc in next 8 sts, hdc in next st, dc in next st, 3tr in next st, 2dc in next st, 2hdc in next st, 2sc in next st, sc in next 15 sts, sc2tog, skip next sc; sc in next 7 sts, 2sc in next 2 sts, sc in next 7 sts; skip next st, sc2tog, sc in next 15 sts, 2sc in next st, 2hdc in next st, 2dc in next st, 3tr in next st, dc in next st, hdc in next st, sc in next 8 sts, hdc in next st, dc in next st, 3tr in next st, 2dc in next st, 2hdc in next st, 2sc in next st, sc in next 15 sts, sc2tog, skip next st, sc in next 7 sts, 2hdc in next st, dc in next st, (dc-tr-dc) in next st, hdc in next 2 sts, sc in last 5 sts, sl st in 1st sc. Row 7: (ch5-skip next 3 sts, sc in next st) twice, (ch5- skip next 1 st, sc in next st) twice, ch5- skip next 3 sts, sc in next st, sc in next 3 sts, (sc2tog) twice, (ch5- skip next 3 sts, sc in next st) 5 times, ch5- skip next 1 st, sc in next st, ch5- skip next 2 sts, sc in next st, (ch5- skip next 3 sts, sc in next st) twice, ch5- skip next 2 sts, sc in next st, ch5- skip next 2 st, sc in next st, (ch5- skip next 3 sts, sc in next st) 5 times, sc2tog; sc in next 7 sts, 2sc in next 2 sts, sc in next 7 sts; sc2tog, sc in next st; (ch5- skip next 3 sts, sc in next st) 5 times, ch5- skip next 1 st, sc in next st, ch5- skip next 2 sts, sc in next st, (ch5- skip next 3 sts, sc in next st) twice, ch5- skip next 2 sts, sc in next st, ch5- skip next 1 st, sc in next st, (ch5- skip next 3 sts, sc in next st) 5 times, (sc2tog) twice, sc in next 2 sts, ch5- skip next 3 sts, sc in next st, (ch5- skip next 1 st, sc in next st) twice, ch5- skip next 3 sts, sc in next st, ch5- skip next 3 sts, sl st in ch1 of beg ch5, ch1. Row 8: Sc in 1st ch5 sp, (ch5, sc in next ch 5 sp) 4 times, sl st in last 2 ch of ch5 sp, (sc2tog) 3 times, sc in next ch5 sp, ch1- sc in next ch5 sp, (ch5, sc in next ch5 sp) 14 times, sc in next sc, sc2tog; sc in next 7 sts, 2sc in next 2 sts, sc in next 7 sts; sc2tog, sc in next st, sc in next ch5 sp, (ch5, sc in next ch5 sp) 14 times, ch1- sc in next ch5 sp, sc in next st, (sc2tog) twice, sl st in next 2 chs of next ch5 sp, sc in same ch5 sp, (ch5, sc in next ch5 sp) 4 times, sl st in 1st sc, ch1. 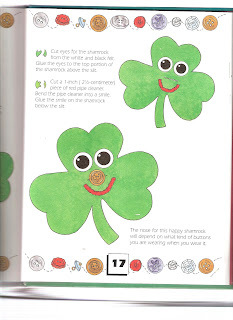 Row 9: Sc in 1st ch5 sp, (ch5, sc in next ch5 sp) 3 times, ch3, skip over next sc and sl sts; sc in ch1 sp, sc in next ch5 sp, (ch5, sc in next ch5 sp) 13 times, ch5; sc in next 10 sc, ch2, dc in next 4 sts, ch2, sc in next 10 sts; (ch5, sc in next ch5 sp) 14 times, sc in ch1 sp, ch3, skip over sc and sl sts; sc in next ch5 sp, (ch5, sc in next ch5 sp) 3 times, sl st in 1st sc, ch1. Row 11: (4sc-picot-3sc) in ch7 sp, (3hdc-picot-2hdc) in ch 5 sp, (4dc-picot-3dc) in ch7 sp, 5sc in ch5 sp, 3sc in ch3 sp, (3sc-picot-2sc) in ch5 sp - twice, (4dc-picot-3dc) in ch7 sp, (3hdc-picot-2hdc) in ch5 sp, (3sc-picot-2sc) in ch5 sp - 5 times, (3hdc-picot-2hdc) in ch5 sp, (4dc-picot-3dc) in ch7 sp, (3sc-picot-2sc) in ch5 sp - 5 times; sc in next 12 sts, 2sc in ch2 sp, 2sc in next 4 sts, 2sc in ch2 sp, sc in next 12 sts; (3sc-picot-2sc_ in ch5 sp - 5 times, (4dc-picot-3dc) in ch7 sp, (3hdc-picot-2hdc_ in ch5 sp, (3sc-picot-2sc) in ch5 sp - 5 times, (3hdc-picot-2hdc) in ch5 sp, (4dc-picot-3dc) in ch7 sp, (3sc-picot-2sc) in ch5 sp - twice, 3sc in ch3 sp, 5sc in ch5 sp, (4dc-picot-3dc) in ch7 sp, (3hdc-picot-2hdc) in ch5 sp, (4sc-picot-3sc) in last ch7 sp. You will need to starch the mask. Place spoon under nose for definition.